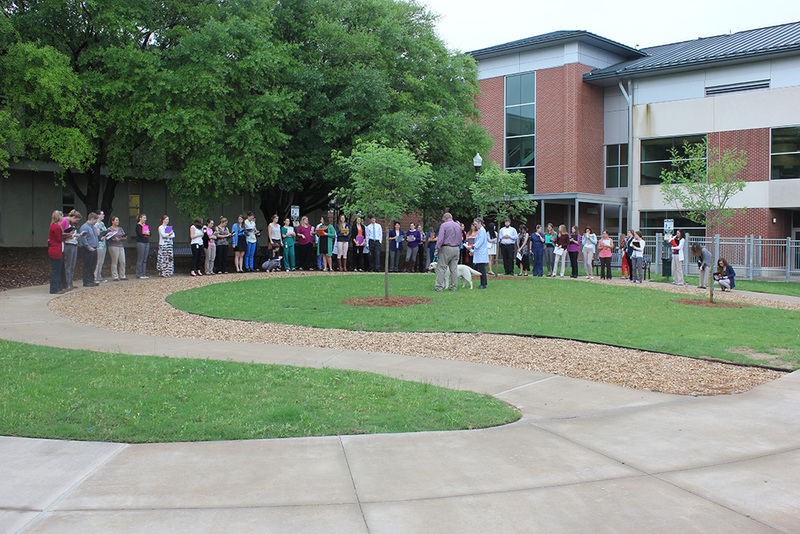 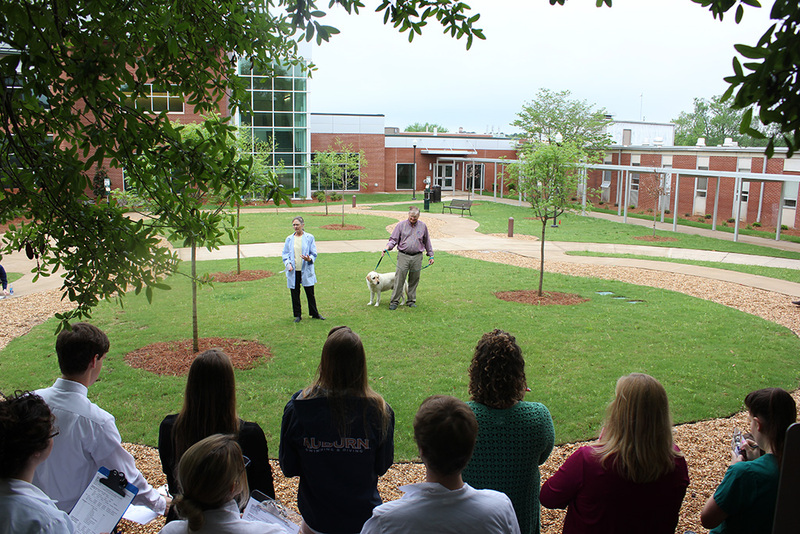 Dr. Elaine Coleman, with her husband Dr. Dale Coleman, took advantage of a break in the rainy weather to be in the College of Veterinary Medicine’s Dog Bone Park to demonstrate a neurological exam on their dog, Milo, to first-year DVM students taking the neurology laboratory course. 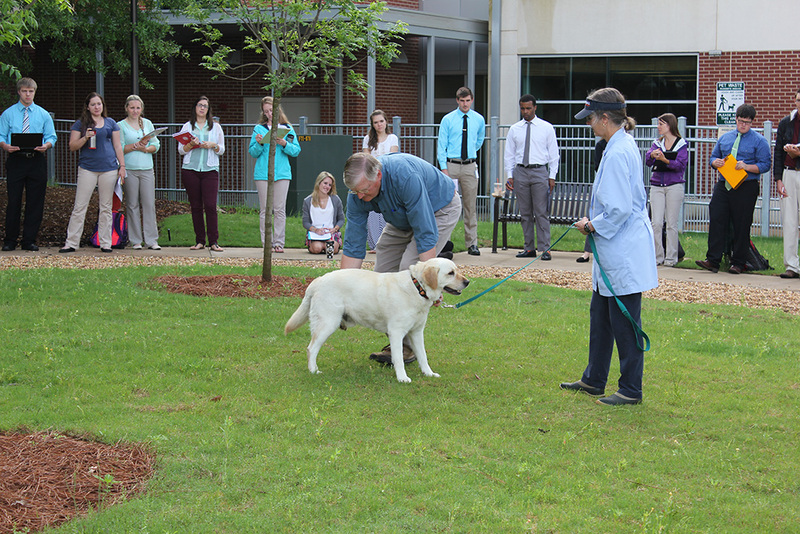 Dr. Elaine Coleman, an associate professor of veterinary anatomy and neuroscience, and Dr. Dale Coleman, who recently retired from the College of Agriculture, showed students how to examine canines for potential neurological issues using basic motion controls. 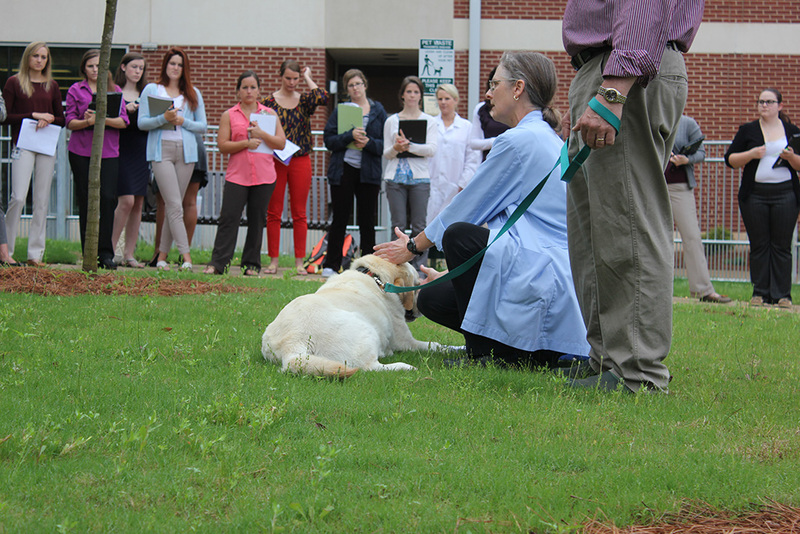 By isolating and manipulating an animal’s leg motion, veterinarians can assess whether an animal suffers from neurological problems based on how the animal can maneuver without the use of an appendage.